Some informal testing reveals that if you’re still rocking an old iPhone, you should probably upgrade to iOS 9.2.1.
iApple Bytes put three different models of older iPhones — the 4s, 5 and 5s — up against each other in a variety of tests designed to see which of them was faster starting up, using apps and running Siri, Apple’s digital assistant. Half were running the brand-new iOS 9.2.1, which arrived yesterday, and half were still on iOS 8.4.1, which has been around since August 2015. You can see their results below in iApple Bytes’ series of videos. $5 million lawsuit asks: Did iOS 9 cripple iPhone 4s devices? 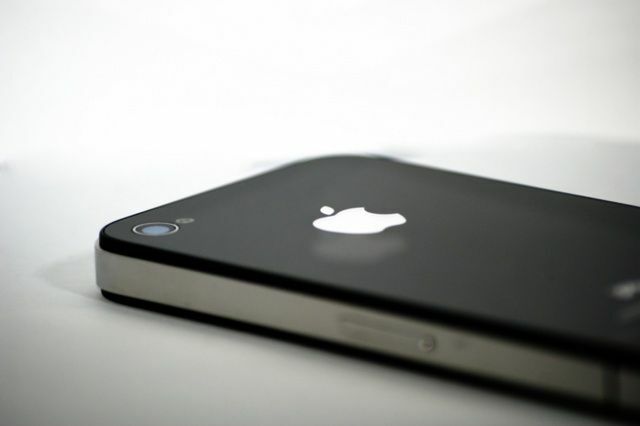 A lawsuit claims the battery of an iPhone 4s is responsible for a house fire. Smart upgraders know that when a major new version of iOS drops, older devices might want to think twice about updating. That advice isn’t much comfort to people on the iPhone 4s, though, who pulled the trigger on iOS 9, and saw their devices slow down as a result. 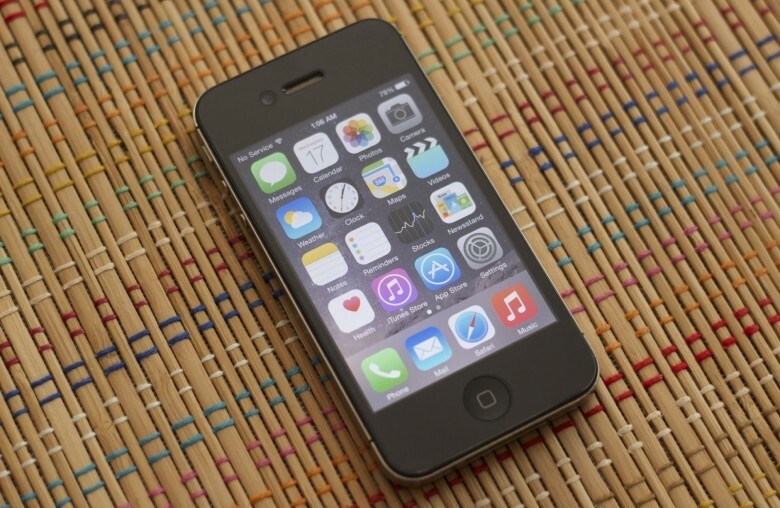 Now, a class-action lawsuit is targeting Apple on behalf of iPhone 4s owners, arguing that Cupertino essentially crippled their phones with the update. Best Buy is preparing for shoppers wanting iPads. If you want to use the new gee-whiz features of iOS 9, like Picture in Picture to FaceTime with your significant other while you write a paper in Pages, or you want to Slide Over a Twitter app to keep track of all the goings on while you surf the web, you’re going to need a newer device. However, all is not lost if you have an older device. Most of the power of iOS 9 is under the hood, making even older devices just a little more battery efficient, just a bit more useful. 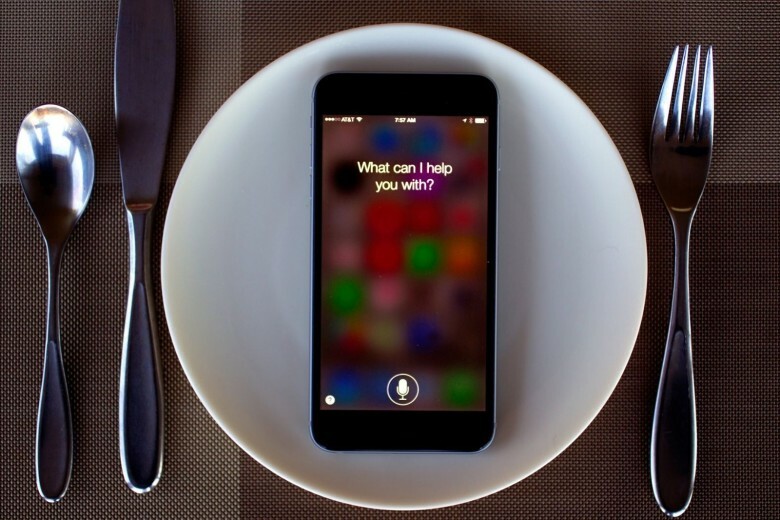 Apple’s second iOS 8.3 beta, which was pushed out to registered developers on Monday ahead of a public release later this year, enables Siri to speak seven new languages, testers have found. 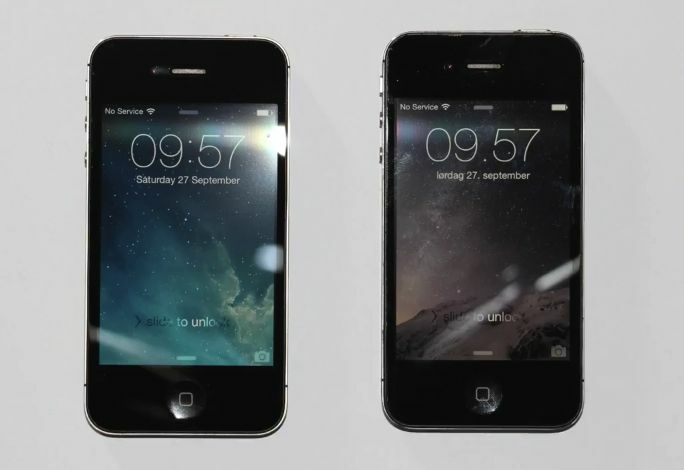 It also brings more performance improvements for older iOS devices like the iPhone 4s. When Apple first released iOS 8 to the general public, more than a few people with older devices such as the iPhone 4S, iPad 2, and iPad mini noticed that it slowed their devices down to a crawl. When Apple released iOS 8.1.1, they promised that the update would fix some of the speed issues that iOS 8 had on older devices. So how’d it work out? iOS 8.1.1 is sometimes an improvement. Sometimes, but not always. And even then, it’s not a huge leap. Apple is still supporting the iPhone 4s when it comes to new software, despite the fact that it is now outdated by several generations. But while iOS 8 is technically usable by iPhone 4s owners, just how fast can it run compared to iOS 7? 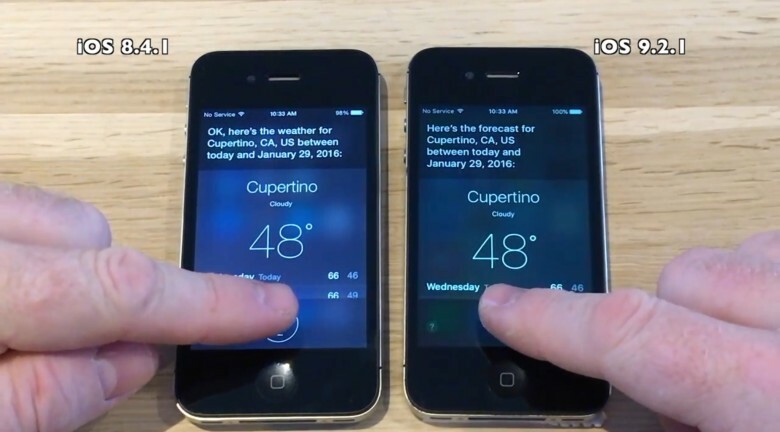 Finding the answer to this question is the basis of a new video by YouTube user kabriolett, who staged a speed comparison between an iPhone 4s running iOS 7.1.2 and one running iOS 8.0.2. 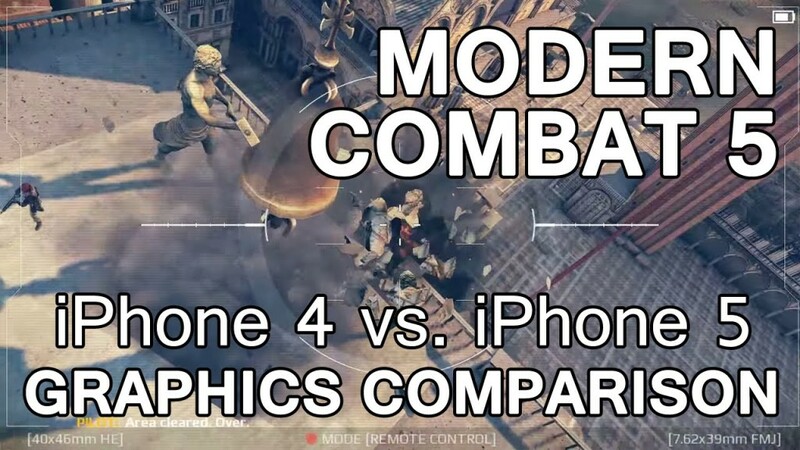 Ever wonder how badly graphics and gaming performance gets compromised in the hottest apps on older hardware? As it turns out, not very badly at all. Maybe that’s why iOS has become a major gaming platform. You’d be hard-pressed to find anyone who would argue that Apple’s Lightning connector isn’t superior to the old 30-pin connector in every way. That’s why it’s surprising that it has taken Apple so long to phase 30-pin out of its product lineup. 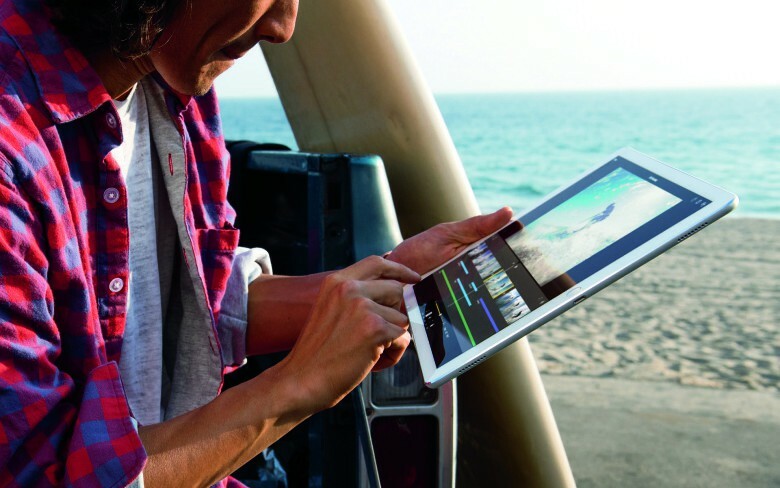 Today Apple brought back the fourth-gen iPad to replace the non-Retina iPad 2. 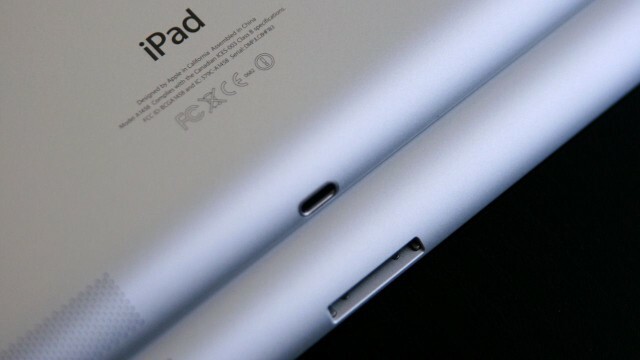 While the press release focuses on the obvious display upgrade, discontinuing the iPad 2 means something else that’s important: another nail in the coffin for 30-pin. 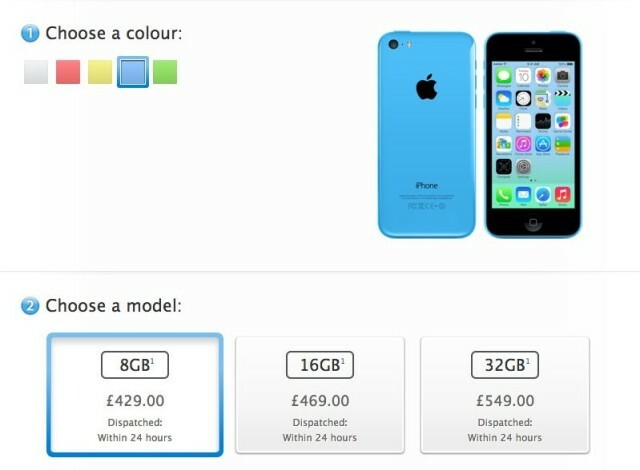 Just as expected, Apple has today added a cheaper 8GB model to its iPhone 5c lineup. The handset is available to order now from a number of European carriers, and via European Apple Online Stores, where it can be purchased for £429 ($714) off-contract. As expected, the iPhone 5s and the iPhone 5c are now available on Boost Mobile — alongside the iPhone 4S. 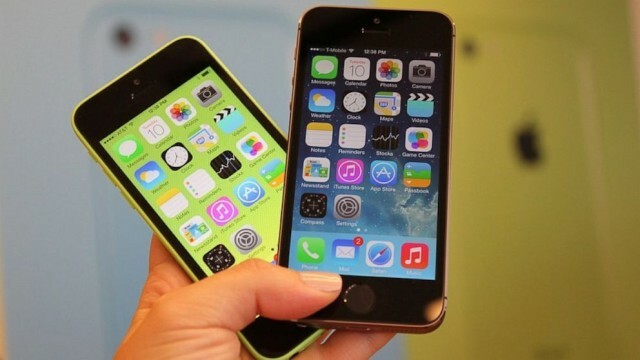 The former starts at $550 for a 16GB model, while the iPhone 5c is $100 less at $450. The iPhone 4S starts at just $300. But if you pick up your new handset before November 24, you’ll get a cool $100 off that price.